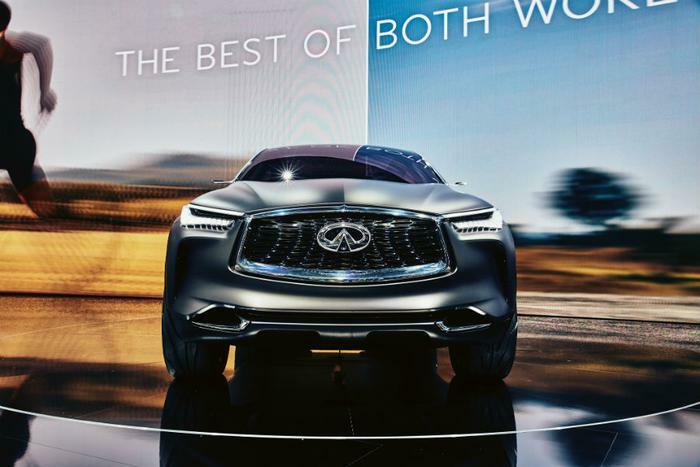 At the Automotive News World Congress in Detroit on Tuesday, Nissan’s CEO Hiroto Saikawa announced that all new Infiniti models launched after 2021 will be electric. As part of the company’s five-year business plan, all new Infiniti models launched after 2021 -- with the exception of a handful of SUVs -- “will either be all-electric vehicles or will rely on the parent company’s new range-extending electric motor-powered technology called ePower,” Saikawa said. The Japanese carmaker says it expects a mix of two types of electric vehicles -- pure electric vehicles and ePower vehicles, which use an electric battery and a small gas engine -- to “comprise more than half of Infiniti global sales” by 2025. Past research suggests consumers’ attitude towards electric vehicles is steadily growing more positive each year. Consumers’ interest in purchasing an electric vehicle rose from 31 percent in 2015 to 36 percent in 2016, according to a survey commissioned by the Consumer Federation of America. Young adults (18-34) were most interested, with a full 50 percent saying they would consider buying an electric vehicle. Currently, battery-based vehicles generate a small percentage of total new vehicle sales in the U.S. However, improvements in the technology, falling battery prices, and automakers’ response to government mandates are among the factors that could lead to a major increase in the number of electrified vehicles. Electrified vehicles could account for 50 percent of global volume by 2035, according to the Boston Consulting Group. Nissan, Infiniti’s parent company, has been an early leader in the push to phase out gas-powered vehicles. Last year, the automaker introduced a revamped version of its Leaf electric vehicle that costs nearly $29,000 and can travel about 150 miles on a single charge. Ford Motor also announced this week that it will launch 40 electrified models, including 16 pure battery-electric vehicles, over the next five years. General Motors says it will have 20 all-electric models by 2023. Volkswagen says it will have 40 by 2025.